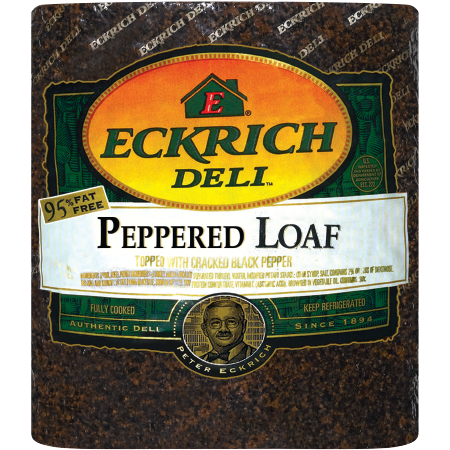 Eckrich Pickle & Pepper Loaf is a classic deli meat with a great taste you remember from years past. 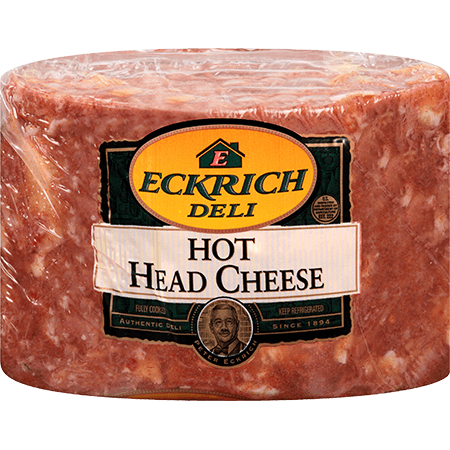 It’s made with high-quality turkey and pork. 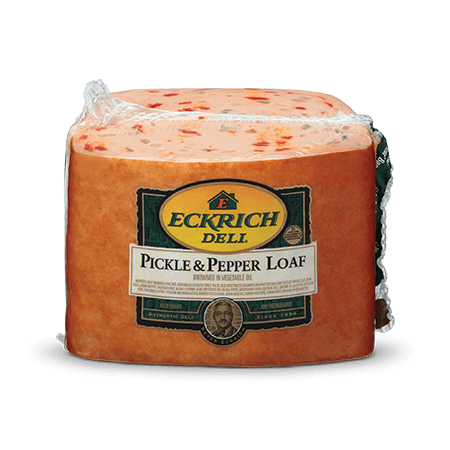 We also add chopped pickles, pimentos and our signature seasonings. 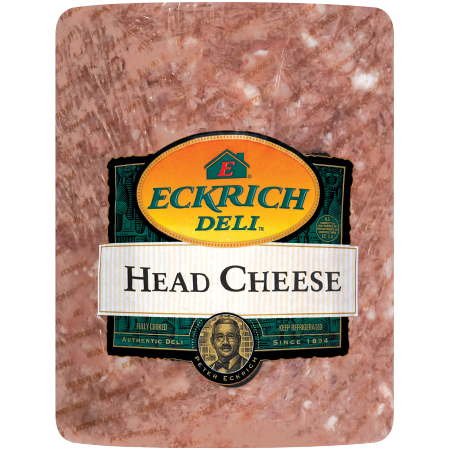 Eckrich proudly makes all of our deli meats without by-products or artificial flavors or colors. 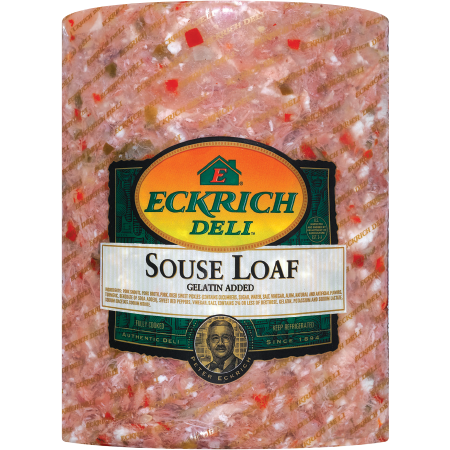 Our pickle loaf is also gluten free and soy free. Try some sliced fresh today. Ingredients: MEAT INGREDIENTS (PORK, BEEF), MECHANICALLY SEPARATED TURKEY, WATER, MODIFIED POTATO STARCH, DICED SWEET PICKLES (CONTAINS CUCUMBERS, SUGAR, WATER, SALT, VINEGAR, ALUM, NATURAL AND ARTIFICIAL FLAVORS, TURMERIC, BENZOATE OF SODA ADDED), SWEET RED PEPPERS, DEXTROSE, SALT, CONTAINS 2% OR LESS OF: AUTOLYZED YEAST, FLAVORINGS, PAPRIKA, POTASSIUM AND SODIUM LACTATE, SODIUM DIACETATE, SODIUM NITRITE, SOY PROTEIN CONCENTRATE. BROWNED IN VEGETABLE OIL. CONTAINS: SOY.